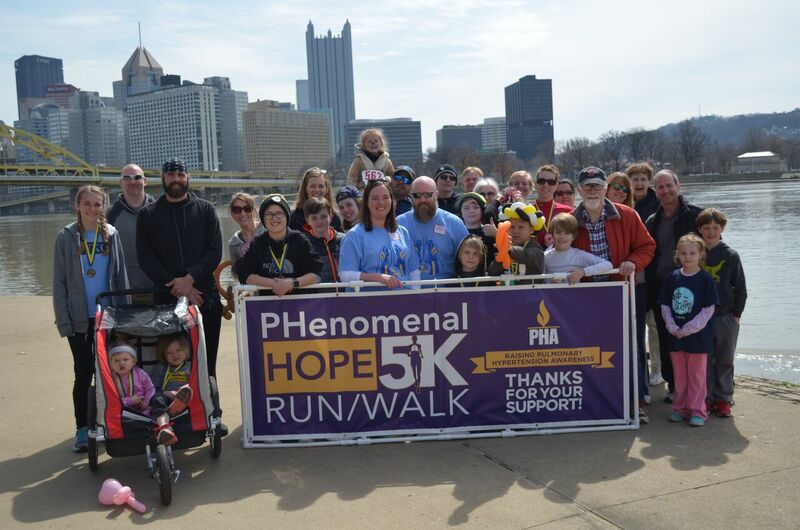 Saturday April 27, 2019 will be the 6th annual PHenomenal Hope 5k run / 1 mile walk to find a cure for Pulmonary Hypertension, in unity with Team PHenomenal Hope. High blood pressure in the lungs is called pulmonary hypertension (PH) or pulmonary arterial hypertension (PAH). PAH is a chronic and life-changing disease that can lead to right heart failure and even death. While there are now 14 FDA approved medications to treat PH (3 of which were approved in 2013! ), there is currently NO CURE, and as the disease progresses, most patients need to face a double lung (and sometimes heart) transplant. The 5k race will be chip-timed, and the route has been USATF certified. 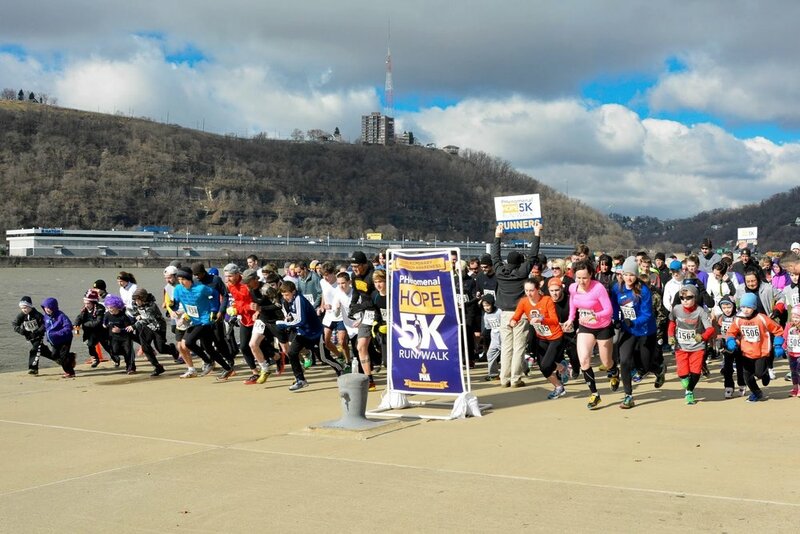 The flat race course will follow the North Shore Riverfront Trail in Pittsburgh, PA, with the start & finish at the Heinz Field Boat Launch. 5k and Kids 1/2 Mile Awards Will Be Presented. Discounted online registration will close at midnight on Tuesday, April 23. Day of registration will be $35. T-shirts shirts may be pre-ordered online as part of the registration process through April 7 for $10. A limited number will be available for purchase on race day. Race day will accept cash - check - credit card for registration fees, t-shirt purchase, race signs & raffles. We are lacing up our running shoes to help PHind a cure for PH!